President Obama met with African American civil rights and faith leaders to provide an update on the Administrationâ€™s priorities as described in the State of the Union. The meeting was also an opportunity to have a dialogue with the leaders about the issues facing their communities, including criminal justice, education, health care and economic development. The President highlighted the upcoming release of the report by the Task Force on 21st Century Policing, and emphasized the Â work of the Task Force leading to the reportâ€™s creation. The President also spoke about his efforts to work with a broad bipartisan coalition to continue to reform the criminal justice system and the significance of doing so for the country. The President noted the upcoming anniversary of the My Brotherâ€™s Keeper Initiative tomorrow and the progress made by the initiative with over 150 elected officials, cities and tribes having accepted the community challenge. The President and leaders also agreed to work together to find ways to strengthen our nationâ€™s voting laws and reduce any barriers that prevent Americans from voting. The leaders in attendance agreed to continue their outreach to their communities and to work with the Administration on its efforts to implement its initiatives. Ron Busby, President, U.S. Black Chambers, Inc.
Edwin Bass, COGIC Urban Initiatives, Inc.
Judge Richard Brown and Sheriff Shannon Wolff have set the following rules and regulations for members of the media and the general public seeking to attend the People v. Drew Peterson preliminary hearing at 10 a.m. on March 3, 2015. Note: These rules and regulations are set primarily for the purposes of the preliminary hearing and are subject to change at the discretion of the Judge and Sheriff as this case proceeds. The Randolph County Sheriff’s Office is working to accommodate as many credentialed media outlets as possible on the day of the preliminary hearing, though space is limited due to the size of the courtroom. Media will be selected by a random lottery drawing conducted by the Randolph County Sheriffâ€™s Office. Outlets that wish to attend the hearing must submit an email to mpossley@atg.state.il.us by 3 p.m. Friday, February 27, 2015. Emails must include the reporterâ€™s full name, media outlet, and desk and cell phone numbers. The Sheriff will conduct the drawing, and media requestors will be notified by end of business Friday, February 27, if they have been selected in the random lottery. The Randolph County Courthouse opens to the public at 8 a.m. Members of the public who wish to attend the hearing must report to the 4th Floor of the Courthouse by 8:30 a.m. on March 3, 2015, to submit their names to the Sheriffâ€™s Office to qualify for a random lottery selection. At 9 a.m., the Sheriffâ€™s Office will conduct a random lottery and notify the selected entrants. All media and members of the general public must enter main courthouse doors on the northeast side of the building and proceed through security. Reporters and crew must present valid press credentials upon entrance. Media credentials must be visible at all times. No electronics, including cell phones, laptops, cameras or other audio or visual media equipment, are permitted inside courthouse. Please note: This policy may be amended in the event of a trial for members of the media covering the case. Options are being reviewed for possible overflow room space and use of electronics in this area for credentialed media outlets. For the preliminary hearing, photos, video or audio recording will not be permitted anywhere in the courthouse. Proper attire is required â€“ no offensive/prejudicial clothing. Lot A, Lot D, State Street and Taylor Street are designated passenger vehicle parking areas available to the press and public on a first-come, first-served basis. Consult attached map of the area. Lot B and Buena Vista Street located behind the courthouse are designated parking areas for Randolph County employee parking only. The press and public are prohibited from parking in these areas. Lot C is designated as a foot access-only area for the press and public. Lot C will be barricaded, and the press and public should remain behind the barricade for safety reasons. Lot E is a privately owned lot being made available to the press for additional parking. Lot E is the closest area to the courthouse where news vans and other large vehicles may be parked if necessary. Lot E is fee parking only. Contact (618) 826-5021 for fee amounts and additional information. This information and subsequent updates can be found on www.randolphco.org. Additional questions concerning courthouse operations, parking, and logistics should be referred to Randolph County Sheriffâ€™s Office Public Information Deputy Donnie Krull at DrewPetersonCourt@randolphco.org or (618) 826-5484 Ext. 504. 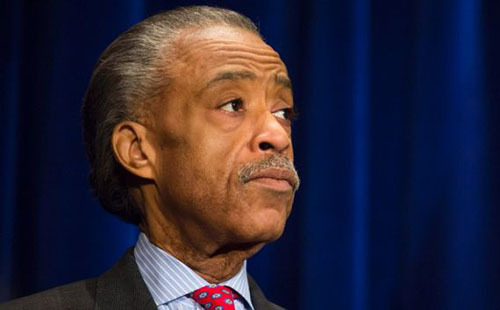 Washington, DC â€” The National Association of African American Owned Media (NAAAOM) and Entertainment Studios Networks, Inc., on Friday, February 20, 2015, filed a $20 billion lawsuit against Comcast Corporation, Time Warner Cable, Reverend Al Sharpton, Reverend Al Sharptonâ€™s National Action Network, former FCC commissioner Meredith Attwell Baker, NAACP, and The National Urban League for conspiring to and engaging in racial discrimination in contracting against 100% African American-owned media in violation of the Civil Rights Act of 1866, 42 U.S.C. section 1981. According to the lawsuit, Comcast and Time Warner, who are currently in the process of merging into one of the worldâ€™s largest media companies, make major cash donations to non-media civil rights organizations in order to buy their approval of the companiesâ€™ discriminatory business practices as it relates to African Americans. The lawsuit states that these organizations, which are not media/channel owners, are paid for their endorsements with cash and other consideration, like Sharptonâ€™s low-rated, nightly series on MSNBC, and that these endorsements also include their signatures on Comcast-authored â€œMemoranda of Understandingâ€ (MOU) which proscribe a â€œminorityâ€ consideration process for the launch of African American channels. Even though Sharpton and others signed such an MOU which enabled Comcast to get its $36 billion NBC-Universal merger approved by the FCC and DOJ, the MOU has not resulted in the launch of any 100% African American-owned cable channels. Instead, they launch channels fronted by African American celebrities but financed and actually owned/controlled by white-owned media and Comcast insiders. â€œAs with our clientsâ€™ lawsuit against AT&T and DirecTV, this action further calls into question how these giant media corporations deal with 100% African American-owned media. We are looking forward to our day in Federal Court, and to explaining to the judge and jury the discriminatory way Comcast and Time Warner, as well as AT&T and DirecTV, have operated their businesses and how they work with government regulators and non-media civil rights organizations to hide their institutionalized racist behavior. 100% African American-owned media companies, including my clients, have been egregiously harmed and we look forward to obtaining justice for them,â€ said Skip Miller, partner at Miller Barondess, LLP in Los Angeles and lead trial counsel for the plaintiff. While pressure continues to mount on former mayoral candidate Dr. Willie Wilson to either throw his support behind Mayor Rahm Emanuel or the second runner-up, Jesus â€œChuyâ€ Garcia, Wilson Thursday told this reporter he has to first hear from his supporters. And, a prominent bishop has released a â€œBlack Agendaâ€ a sort of litmus test of support for the African American community on which mayoral candidate is worthy to be endorsed. So as not to be a perceived as a political dictator, within the next two-weeks Dr. Wilson will be putting up a new website seeking the advice from the 49,612 people who voted for him. Thatâ€™s important to Wilson, 66, a self-made millionaire and president/CEO of the very successful syndicated gospel show, â€œSingsation,â€ who came in third place in last Tuesdayâ€™s mayoral race with 10.64 percent of the vote. For the first time, there will be a mayoral run-off because Emanuel failed to get a 50 plus 1 vote. Wilson, who funded his own campaign with a $1 million check, said he never got into the mayoral race to fatten his own coffers or those of his friends unlike the mayor he says continues to give contracts to his supporters. While Wilson has met with the mayor and Garcia, when asked which candidate would he support, Wilson said, â€œI am for anybody for except the mayor but when I said that I was running in the primary. I am also obligated in fairness that I should hear from those who voted for me. â€œIf I went and did what I felt, that would not be right. I need to get the opinions from the people who voted for me,â€ Wilson told this reporter. â€œThat would not be right…,â€ he said explaining he doesnâ€™t want to be like other politicians who donâ€™t get input from the citizens. â€œI will make a decision who I will support within ten-days,â€ Wilson said. When contacted, former mayoral candidate Robert Shaw warned that jumping aboard the Garcia band right away is not the way this process is going to go. But, when asked if the black community will forgive Emanuel for closing 50 schools mostly in the black community or for his red light program or make history by supporting Garcia who could be the first Latino mayor, Bishop Claude Porter, chairman of the Interfaith Illinois, Inc., is taking this process a step higher. â€œI think the black community will come together and re-evaluate both sides of the situation and make an intelligent decision who they will support,â€ Porter told this reporter. â€œWe have a black agenda that has been put out there. We need to look at that agenda and see who will adopt the interest of the black community,â€ Porter stated. Reminded that blacks are the largest voting bloc in Chicago, Porter said, â€œWe have over more than 600,000 registered right nowâ€¦. We have the controlling vote, and we have to make sure we utilize that now and stop being put on the sidelines as if we donâ€™t count. Porterâ€™s Black Agenda includes a demand to reintroduce vocational training in CPS, turn the closed schools into â€œviable community enhancement centers needed for occupational training, more contracts for blacks, a holistic plan to reduce crime, increase funding for mental health, increase youth voting, plan to retain homeowners, establish micro loans so blacks can open up fresh food stores in desert areas, and a number of other business demands that would include blacks. Reparations Not Black Sites – Rally for the Runoff! Posted by Admin On February - 27 - 2015 Comments Off on Reparations Not Black Sites – Rally for the Runoff! CHICAGO, IL â€“ On election day, this city sent a message. The most marginalized members of our communities are suffering because of shuttered schools, closed clinics and unchecked police violence. On Monday, March 2, Chicagoans will gather at 6 P.M. in Daley Plaza to echo the message that was sent by Tuesday’s election results – Chicago has had enough, and this city will hold its leaders accountable! Mayor Emanuel has long been dismissive of police violence, refusing to support the reparations ordinance for survivors of Chicago Police torture and allowing violent cops to remain on the street. The recent revelation of a black site interrogation and detention center in Chicago only adds insult to injury. This mayor faced stiff opposition to his polices in the months and weeks leading up to election day and the results make the will of the people clear: we will not tolerate business as usual. Jon Burge began his parole on February 13, 2015, and will collect a city pension. The city spent $20 million dollars defending him — a torturer who’s retirement will be funded by Chicago taxpayers. Yet most of his victims go uncompensated. Mayor Rahm Emanuel never answered the cry of survivors of police torture by actively support passage of the reparations ordinance. His record on police crime could have been much different. This rally is being organized to remind the mayor and every politician who has a stake in this runoff that they are answerable to the people. Silicon Valley, CA (BlackNews.com) â€“ The Joyner/Payne Youth Services Agency, The Silicon Valley Black Chamber of Commerce, and the African American Community Service Agency have joined in a dynamic, collaborative vision to establish a Black History Museum in San Jose by the year 2020. The purpose of this groundbreaking collaborative is to create an educational institution that will celebrate the genius and contributions of Black People throughout time, starting with Mother Africa, American History and ending with the Silicon Valley. The Inaugural Black Legend Awards – Silicon Valley Ceremony, that will be held on September 12, 2015, at the Parkside Hall of the San Jose Convention Center, is the foundational event for the official launch of fundraising for The Black History Museum. Nominations for honorees in the ten (10) categories for the 2015 Black Legend Awards – Silicon Valley have been received. The criteria for selection is someone who has made a significant contribution to the quality of life of Black People and to the general population of people who live in Silicon Valley; and who has provided those services for a minimum of ten (10) years. During Black History Month through May 15, 2015, tickets to this Inaugural Event may be purchased at a discounted rate of $100 per ticket. S.T.E.M. Award (Science, Technology, Engineering and Mathematics) – Awarded to those individuals who helped produce, enhance and improve today’s social network and those who were instrumental in creating landmark changes in science and technology to enhance and improve the lives of the general public and the lives of people in the Black Community. The names of the Black Pioneers nominated for the Black Legends Hall of Fame will be released at a later date. To learn more about the Black Legend Awards, to purchase tickets, make a donation, or to be a sponsor of the Black Legend Awards – Silicon Valley Black-Tie/Red Carpet Ceremony on September 12, 2015, please call 408-320-2111, or visit www.blacklegendawards.org. SPRINGFIELD, IL â€” Illinois State Senators Jacqueline Y. Collins (D-Chicago 16th) and Emil Jones, III (D-Chicago 14th) will join with business owner Lawrence Calvin Dâ€™Antignac and other civic and community leaders to honor the players of Jackie Robinson West this Sunday, March 1, at The Woodshop. During the presentation, the youth will receive reproductions of â€œFull Count 3 and 2,â€ by famed artist Annie Lee. The piece depicts a young boy pitching in a sandlot baseball game. â€œThis is the perfect representation of how our young Little Leaguers first get introduced to baseball,â€ Dâ€™Antignac said. Under the leadership of Dâ€™Antignac and his wife, Marvita, The Woodshop, which opened its doors in 1974, has become a major dealer and purveyor of African, African-American and Caribbean art. The event will be held Sunday, March 1, 2015 , 11:30 a.m., at the Woodshop, 441 East 75th St., in Chicago. CHICAGO, IL â€“ Â Consumers in Chicago and northern Illinois have contacted the Better Business Bureau (BBB) to report receiving phone calls from individuals stating that they have $450,000 waiting for them to claim. Often, the callers say the money is winnings from a sweepstakes or an award from a grant. The BBB warns consumers that these calls are a scam. Lutina Cooper who lives in the Chicagoland area received a call stating she and her husband were the winners of the Mega Millions Publisher Clearinghouse Sweepstakes. Mrs. Cooper told the BBB, â€œThe caller said his name was Michael Sanchez. He said in order to receive the money, my husband would have to pay $900 to start the process.â€ The Coopers had considered getting a â€œTitle Loanâ€ on their car in order to pay the $900. Luckily, before they did, they called the BBB. Publishers Clearinghouse who has a yearly sweepstakes says they never ask for money and their â€œno purchase necessaryâ€ message is prominently displayed on all of their promotional materials. Also, the company says all prizes over $10,000 are awarded in person and they never call in advance. Hang up â€“ If you receive any unsolicited call with a story that sounds too good to be true, hang up. Wire Transfers – If you are asked to send money via Western Union, MoneyGram, or using a pre-paid debit card, DONâ€™T. Taxes on your prize – In a legitimate sweepstakes, taxes will be deducted from your winnings or you will pay them directly to thegovernmentGuard your credit card and bank account numbers – No legitimate sweepstakes company will ask for this information. Your social security number may be required for tax reporting purposes if you have won. Donâ€™t provide that information unless youâ€™re absolutely sure that you entered the contest and that you know the company operating it. Be on guard for imposters – Some scammers use company names that are identical or very similar to well-known, legitimate sweepstakes operators. Tell them that youâ€™ll get back to them and contact the real companies to ask if there is any connection. Be wary of offers to send you an â€œadvanceâ€ on your â€œwinningsâ€ â€“ Some con artists use this ploy to build trust and get money from your bank. They send you a check for part of your â€œwinnings,â€ instructing you to deposit it and then wire payment to them for taxes, bonding, or some other phony purpose. The bank tells you the check has cleared because the normal time has passed to be notified that checks have bounced. After you wire the money, the check that you deposited finally bounces because it turned out to be an elaborate fake. Now the crooks have your payment and youâ€™re left owing your bank the amount that you withdrew. Get the details in writing – Legitimate sweepstakes companies will give you written information about how a contest works, including the odds of winning, the value of the prizes, the fact that no purchase is necessary and an explanation that buying does not improve your chances of winning. For more information, visit www.bbb.org/chicago, like us on Facebook or follow us on Twitter. CHICAGO, IL â€“ Â Rehearsals begin this week for The Upstairs Concierge, a classic farce with modern themes by Obie Award winner and Pulitzer Prize finalist Kristoffer Diaz, the â€œvibrant young playwrightâ€ (The New York Times) with a â€œtalented new voiceâ€ (The Los Angeles Times). A co-commission with Teatro Vista, The Upstairs Concierge was developed over three years through a series of improvisational workshops and a developmental production in the Goodmanâ€™s 2013 New Stages Festival. Director KJ Sanchez, in her Goodman directorial debut, brings together the all-Chicago ensemble cast, including Theo Allyn as Mark Merriman; Sandra Delgado as Shivery Delicious; Alejandra Escalante as Rebecca Oaxaca; JosÃ© Antonio Garcia as BB; Annie Henk as Dia Hotelman; Tawny Newsome in the title role as Ella Elizondo; Gabriel Ruiz as Harvey; John Stokvis as Kaz; Travis Turner as Royals Guy; and Cedric Young as Jeffrey Hotelman. Headshots and bio information can be found in the Press Room. The Upstairs Concierge runs March 28 â€“ April 26 in the Owen Theatre (opening night is Monday, April 6). Tickets ($10-$40; subject to change) are on sale now and can be purchased at GoodmanTheatre.org, by phone at 312.443.3800 or at the box office (170 North Dearborn). Edelman is the Major Corporate Sponsor for the Owen Theatre Season. Blue Cross Blue Shield of Illinois is the Corporate Sponsor Partner. The Joyce Foundation is the Principal Support of Artistic Development and Diversity Initiatives. A special grant from the Time Warner Foundation enables Diaz to pen several scripts to accompany The Upstairs Concierge, produced into short films by Cap Gun Collective, a Chicago-based film company. Featuring cast members Newsome, Ruiz and Stokvis, the films function as both stand-alone comedic shorts as well as an invitation for audiences to delve deeper into the world of the play and the imaginations of the creative team and cast. Overall, Goodman Theatreâ€™s New Work Initiatives are supported by The Davee Foundation, The Time Warner Foundation, The Elizabeth F. Cheney Foundation, The Pritzker Pucker Family Foundation, The Glasser and Rosenthal Family, the Harold and Mimi Steinberg Charitable Trust, and The Joyce Foundation. The Goodman also partners with Kimpton Hotelsâ€™ conciergesâ€”Sheila Garg, Chief Concierge at Hotel Monaco Chicago and Bobby Gonzalez, Concierge at Hotel Palomar Chicagoâ€”to serve as â€œconcierge consultantsâ€ on the production, working with Newsome to inform her character. Goodman Theatre launches a new opportunity for social media insiders to go behind-the-scenes of The Upstairs Concierge for an intimate glance into the process of new play development. On Wednesday, March 4 from 6-7pm, guests sit in on a rehearsal and meet the cast and creative team during a Q&A. Applicants who are interested in applying to be a part of the new program can do so here. Participants will be notified by February 27. Set in Chicago, The Upstairs Concierge follows Ella Elizondo (played by Newsome, who collaborated with Diaz on the production since the beginning) on her first day of work at The Hotelman Arms, a boutique hotel owned by Jeffrey and Dia Hotelman (Young and Henk). Taking self-sacrifice to new heights, the desperate-to-please Ella has signed on to be the â€œUpstairs Concierge;â€ a position that requires her to spend every wakingâ€”and sleepingâ€”moment serving her celebrity guests. With a rag tag staff that including two bellhops, Harvey (Ruiz) and Kaz (Stokvis), it becomes hard to keep track of which guests are in which room, which guest is the biggest celebrity and party-loving guests need extra supervision. The creative team includes Todd Rosenthal (set designer), Rachel Healy (costume designer), Marcus Doshi (lighting designer) and Mikhail Fiksel (sound designer). Kimberly Osgood is the production stage manager and Tanya Palmer is the production dramaturg. Kristoffer Diaz returns to the Goodman, where his play The Upstairs Concierge ran during the 2013 New Stages Festival. Diazâ€™s full-length plays include The Elaborate Entrance of Chad Deity (2011 New York Times Outstanding Playwright recipient, Pulitzer Prize finalist, Lucille Lortel Award, Obie Award, Drama Desk nominee and Jeff Award winner for Best Production and Best New Work), Welcome to Arroyoâ€™s and #therevolution, among others. He is a playwright-in-residence at Teatro Vista, as well as a recipient of the Jerome Fellowship, the Future Aesthetics Artist Regrant and the Van Lier Fellowship (New Dramatists). Diaz is also a former member of the Ars Nova Play Group and is currently working on commissions for the Goodman/Teatro Vista and the Oregon Shakespeare Festival. KJ Sanchez is making her Goodman Theatre directorial debut. Other Goodman credits include Thyona in Charles L. Meeâ€™s Big Love. Her directing credits include ReEntry (Urban Stages, co-creator); Private Lives and Mere Mortals (Two River Theater Company); The Diary of Anne Frank and Noises Off (Milwaukee Repertory Theater) and Water by the Spoonful (Studio Theatre). She is an artistic associate at Cincinnati Playhouse, where she directed Venus in Fur, Seven Spots on the Sun and Joan, the Girl of Arc. Sanchez has also directed at Baltimoreâ€™s CENTERSTAGE, Round House Theatre and Actors Theatre of Louisville, as well as over 30 military bases throughout the country and abroad. She is founder/ CEO of American Records and provides the voice of many characters in the cartoons Dora the Explorer and Go, Diego, Go! Tickets: www.GoodmanTheatre.org/Upstairs or 312.443.3800 (telephone); 312.443.3825 (fax); 312.443.3829 (TTY/TDD). Box Office Hours are 12noon – 5pm; on performance days, the office remains open until 30 minutes past curtain.